Vox Visitor Management provides a comprehensive suite of solutions to augment security and customer service. Ranging from access control via handheld scanners to full online visitor management, we are able to meet all of your business requirements. Allow staff to pre-book visitors and receive notifications on arrival. Number plate and ID recognition for safety and authentication. Email and SMS notifications to staff when visitors arrive. Visitors receive real-time welcome messages, improving customer experience. Visitors can be pre-registered by hosts, security, or the receptionist. All the pertinent details can be added ahead of time. A confirmation emails with a map, safety instructions, and other meeting details can automatically be sent to any visitors. Real-time welcome messages for visitors improves customer experience. Manage bookings online via a web portal or mobile application. Receive notifications via email and SMS – including multiple channel notifications to staff when visitors arrive. Visitors receive a welcome SMS or email notification when they arrive. You can also authenticate visitors via their number plates or ID numbers. This functionality allows for flexibility in managing archiving periods of records. What is the purpose of having a visitor management system? 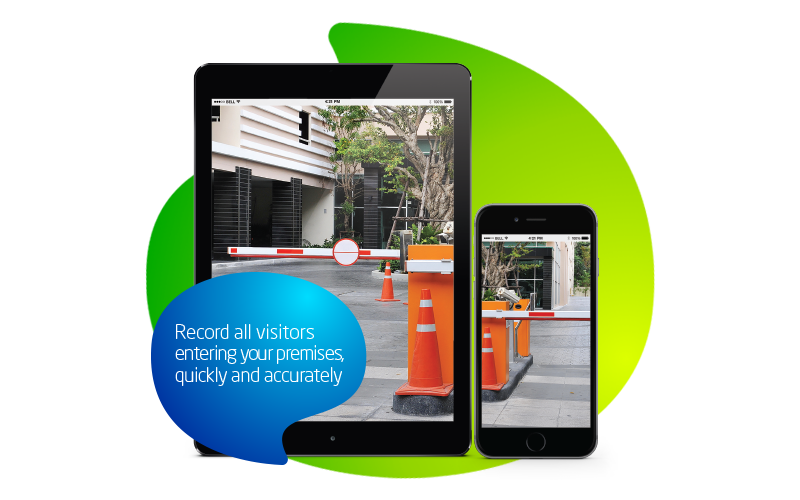 The Vox Visitor Management System provides staff with the ability to safely and effectively monitor all visitors prior to entry into the building. Do I need to buy the hardware upfront? We offer you the opportunity to purchase the solution via two methods: Opex or Capex depending on your budget constraints.